It has been fifteen years since the inception of China Philharmonic Orchestra (CPO) amid miraculous development. 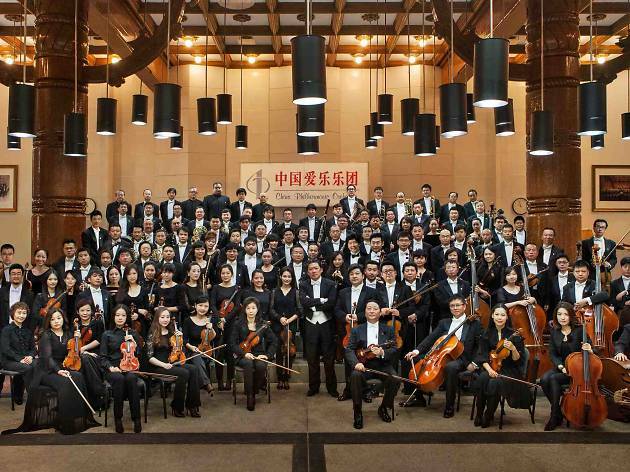 Devoted to become China’s top orchestra as well as a leading figure in Asia with international reputation, the CPO has achieved an astonishing leap forward and won wide attention home and abroad during its fourteen seasons. In the spring of 2009, the CPO was named Most Inspiring Orchestras by Gramophone online, joining the glittering array of ten fellow orchestras including Berliner Philharmoniker, London Symphony Orchestra and New York Philharmonic Orchestra. By present the CPO has presented nearly 3,000 music compositions in its more than 1,000 performances in the forms of concerts, operas, cantatas, incidental music, ballets, chamber music, musicals, film/TV music, multi-media and cross-over with Chinese national instruments, attracting millions of audience. Its domestic and international tours accumulated more than one million kilometers, an equivalent of circling the world 20 times. Du Mingxin’sWomen General of the Yang Family (concert version), GuoWenjing’sOriental Sun and This Land So Rich in Beauty, Chen Qigang’sLes Cinq Elements, Iris dévoilée, Reflet d'un temps disparuand trumpet concerto Joie Eternelle, Krzysztof Penderecki’s piano concerto “Resurrection” and Symphony No. 8 “Lieder der Verganglichkeit”, Ye Xiaogang’sSong of the Earth and the Lofty Kunlun Mountains. Zhao Jiping’sWomen General of the Yang Family (stage version) and Qiao'sGrand Courtyard Suite, Tan Dun’s Four Secret Roads of Marco Polo, Youth, Symphonic Poem of 3 Notes, Concerto for Orchestra and Long-li-ge-Long, Peter Ruzicka’sHölderlin Symphony, Zhao Lin’s concerto for Cello and Sheng“Duo”, Zou Ye’s original soundtrack for digitally remastered version of China’s early silent film classic Goddess, and John Williams’Scherzo. During the years between 2000 and 2006, China Philharmonic collaborated with Deutsche Grammophon and released 3 CDs, making itself the first Chinese orchestra to work with a major label and release recordings internationally. 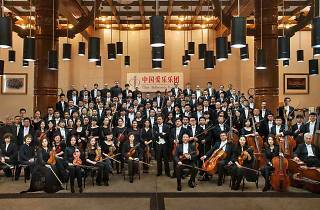 In 2012, China Philharmonic Orchestra released a 100-CD box set of live recordings of its previous seasons. 213 compositions from 105 performances were featured in this box set, an incomparable product in the history of recording. The August of 2015 saw China Philharmonic Orchestra’s historical 7-concert ‘Tour of the Silk Road’ which covered 6 major cities in 5 countries that sit along the ancient Silk Road: Tajikistan, Kyrgyz Republic, Kazakhstan, Iran and Greece. The Tour was praised by international media including The Washington Post. China Philharmonic Orchestra shall further launch a ‘Tour of the Maritime Silk Road’ this May, which includes cities in Vietnam, Indonesia, Malaysia, Sri Lanka and India.